Angela Davis: “Abolition Feminism:Theories & Practices” from Institouto Nicos Poulantzas on Vimeo. 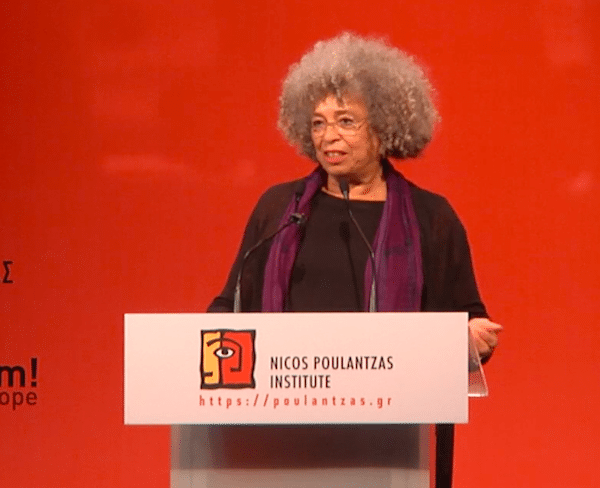 Nicos Poulantzas Institute presents Angela Davis for the Eleventh Annual Nicos Poulantzas Memorial Lecture. Her speech entitled “Abolition Feminism: Theories and Practices for Our Time” took place on Monday, 11th of December 2017.